A subshrub with stout stems that are quite hairy. Stems will lay over with age, making this a good specimen for a hanging basket. 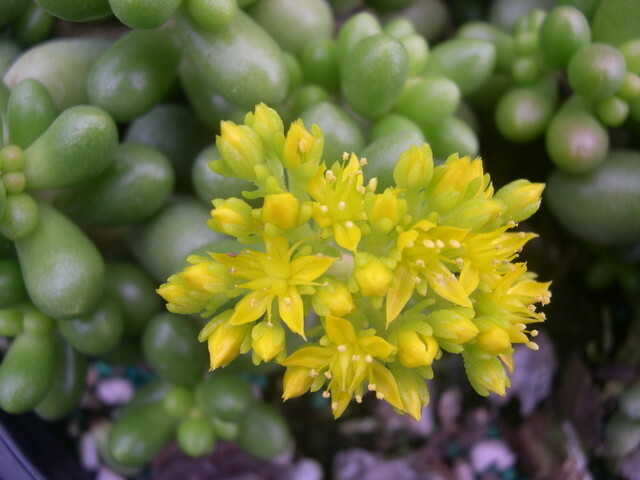 Medium green leaves are rounded and plump with waxy scales. Golden-yellow flowers are sticky and have a musty smell. Blooms in April-May.